Scientists at Massey University have been involved in calculating the structure of oganesson, a relatively new element which has proved elusive to study. 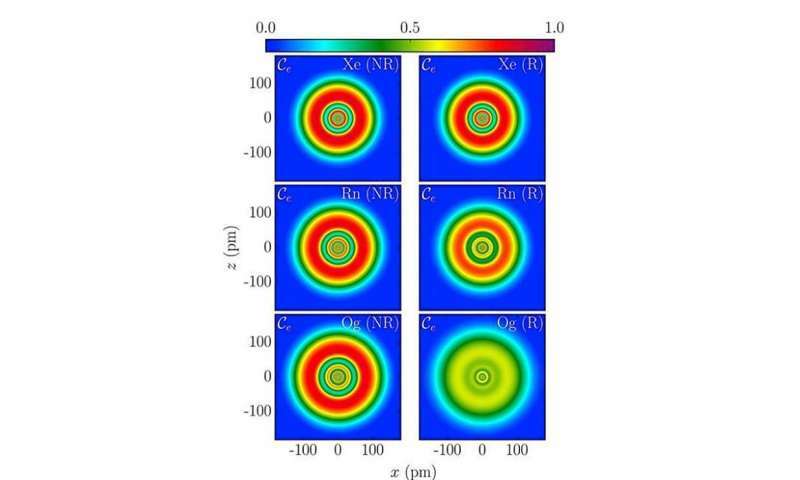 First synthesised as a single atom in 2002 at the Joint Institute for Nuclear Research (JINR) in Russia, oganesson is the only noble gas which doesn't naturally occur and must be synthesised in experiments. 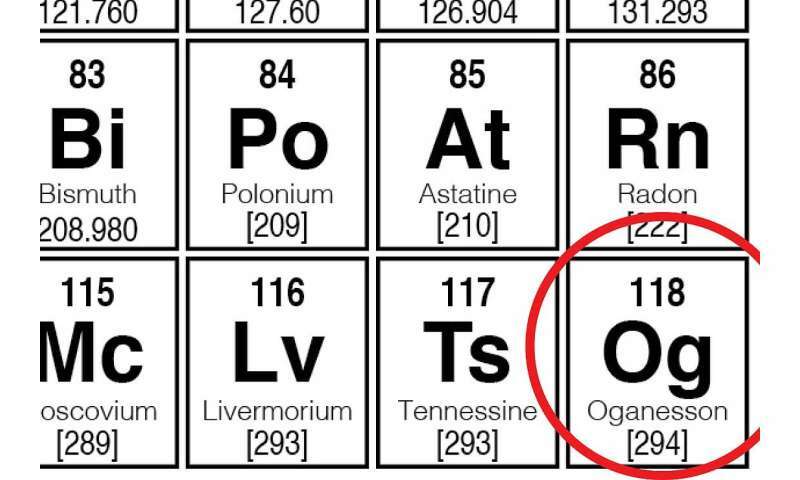 It is also one of only two elements to be named after a living scientist, nuclear physicist Yuri Oganessian. However, studying one of the heaviest elements with the highest atomic number to ever be synthesised (118), is no easy task. Oganesson is radioactive and extremely unstable with a half-life of less than a millisecond, making it impossible to examine by chemical methods. This means computing its electronic structure is the next best thing, which is in itself a formidable task. Massey's Distinguished Professor Peter Schwerdtfeger of the New Zealand Institute for Advanced Study, together with nuclear physicist Witold Nazarewicz of Michigan State University in the United States and their respective teams, were able to make these calculations. Professor Schwerdtfeger says, "Calculations are the only way to get at its behaviour with the tools that we currently have, and they have certainly provided some interesting findings." "On paper, we thought that it would have the same rare gas structure as the others in this family. In our calculations however, we predict that oganesson more or less loses its shell structure and become a smear of electrons." "Oganesson is quite different to the other rare gas atoms, as its shells are barely visible in an electron localisation function plot and has been smeared to near-invisibility," he adds. "Oganesson comes quite close to the limiting case of a Fermi gas." The team also calculated the structure of protons and neutrons inside the nucleus, which indicated a smeared-out structure for the neutrons as well. The protons however retain some shell-like ordering.